A nationally important comic artist and illustrator is given a one man show at Horsham Museum and Art Gallery this September. 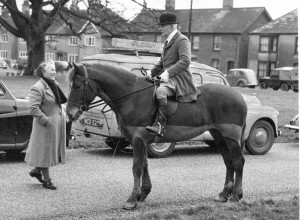 Dr Sparrow pursued his hobby while serving the residents of the ancient market town of Horsham for half of the 20th Century. 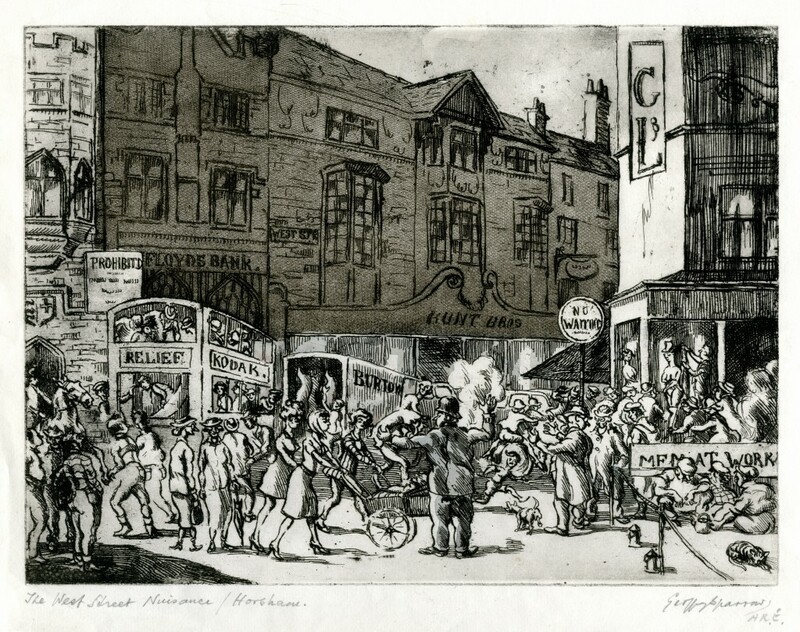 His importance on the national scene was recognised back in 2001 when Horsham Museum obtained a grant from the V&A Purchase Grant fund to buy some of his prints, aquatints and original artwork. 11 years later the Museum is holding a major retrospective on an artist who follows in the tradition of Rowlandson, Leech and Alkin, in capturing the foibles and characters of both man and beast. Dr Sparrow arrived in Horsham in 1919 having served as a doctor in the First World War where he was awarded a Military Cross. He co-wrote a book about the campaigns he fought in: ‘On Four Fronts with the Royal Naval Division‘. The volume was peppered with comic masterpieces, many of which were taken from his diaries which now reside at the Imperial War Museum. Once settled in Horsham he observed everyday life and developed a fond affection for the place and people. During the Second World War he saw military service and at the end of the war he retired from medical practise devoting his life to hunting and art. He joined Brighton and Hove Art School where every Friday he would learn etching and aquatinting. The exhibition of over 35 works of art collected over the last 20 years reveals a quality of illustration, line and observational skills that mark out Dr Sparrow’s drawings from the humdrum. Through his quick sketches he spans some 50 years of life in Horsham town and field with a fascination for the hunting, the absurd and the ironic. The illustrations were always done with a sense of soft humour , making them sketches that could delight the wall of the Horsham gentlefolk rather than the savage satire that appeals to the lovers of Gilray. The exhibition ‘A Host of Sparrows’ (for a grouping of Sparrows as ornithologists and the Doctor would know is called a Host) opens on Tuesday 4th September and runs until 13th October 2012 at Horsham Museum and Art Gallery, located in the Causeway, which Dr Sparrow referred to as “a curious old cul-de-sac leading to the church”. Toovey’s forthcoming auction of Selected Fine Oil Paintings, Watercolours, Drawings and Prints on 12th September, also includes four works by Dr Geoffrey Sparrow, each highlighting the mastery and wit of this Horsham-based artist.